The 13th international conference on Greenhouse Gas Control Technologies (GHGT-13) will take place in Lausanne from 14-18 November 2016. The Swiss Federal Institute of Technology has been working closely with Lausanne Tourism and Convention Bureau in preparation for the event, which will be held at the SwissTech Convention Centre and is expected to attract 1,200 participants. Leading figures from the industry will come together to discuss and debate current greenhouse gas control technologies and advances in the field of C02 capture and storage. Kamel Ben Naceur, director of sustainable energy policy and technology at the International Energy Agency, is confirmed to open the event. Lausanne Tourism & Convention Bureau will support the conference by providing a number of operational services including the management of registration, accommodation and a variety of excursion and social activities for the conference. 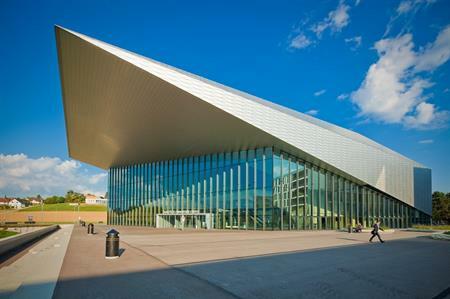 Gerald Howard, business development manager at Lausanne Tourism & Convention Bureau, said: "We are delighted to be hosting the GHGT-13 conference and supporting such an important global issue. The leading position of Switzerland in the economical Cleantech sector makes Lausanne the ideal place to host the conference as the city is already awarded and very much active in the sustainable energy technologies."